The knurled handle is contoured to fit your hand better. Sizes 12lb and up are all 34mm thick in the center. Smaller sizes are 28mm. Smoother edges than 6-sided ("hex") dumbbells, and they don't roll around like roundhead dumbbells. Each handle is 5" long. All dumbbells are guaranteed to be within 4% of the marked weight. Most are much closer than that. Troy offers a 1 year warranty against defects. 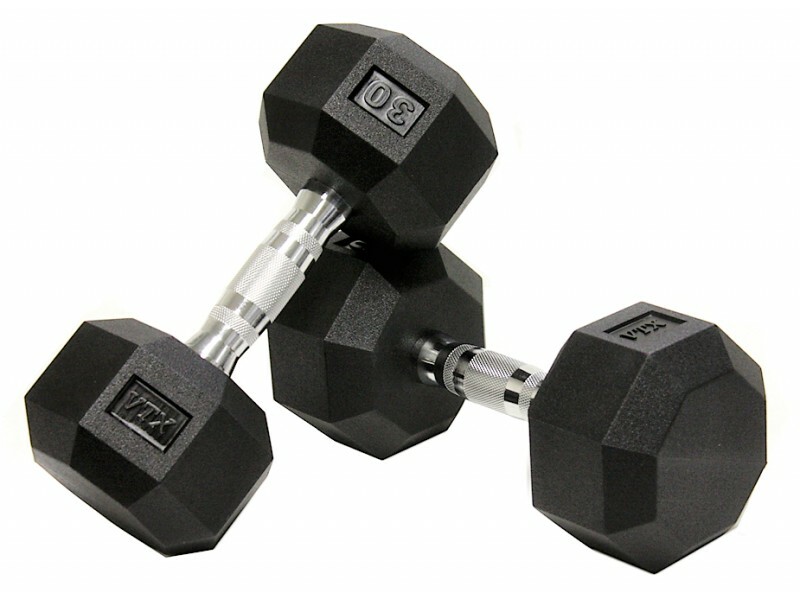 For an even better urethane dumbbell, consider upgrading to the Troy Premium Urethane Dumbbell.